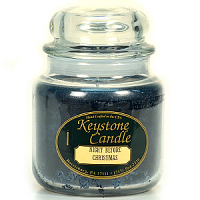 Our 16 oz candles in a jar are a great buy. These scented jars are loaded with fragrance and will freshen any room in your home. The glass jar candles burn beautifully out to the edges and down to the bottom leaving hardly any wax left over. We also sell white unscented jar candles which are ideal to burn when food is being served. Sometimes fragrances can interfere with and affect the way food tastes. The unscented candles allows people who have fragrance allergies to enjoy or jars too. Pair one of these jar scented candles with one of our decorative candle rings to make a nice display for your home or give as a gift. Not perfect, but good. Occasionally the plastic melts, but overall they're much better than dealing with incompletely burned candles.